The specs: D500, AF-S NIKKOR 24-70mm f/2.8G ED, 1/500 second, f/11, ISO 100, manual exposure, Matrix metering and the reliable wind power of the Palouse. The Palouse is a 4,000 square-mile region of northwest farmland that includes areas of Idaho, Washington and, depending on who's doing the defining, even parts of Oregon. But what's most important for our purposes is this: the Palouse is a photographer magnet. "It's a huge attraction," says Deborah Sandidge, who took this photograph in the Washington section of the region. "Rolling hills, wheat fields—it looks amazing, especially in the early morning and early afternoon, when the light changes the dynamics of the landscape. There are farms, old abandoned barns and a wonderful sense of space. And it's not just a photographic experience, it's sort of cultural, historical, social journey. The people are friendly, you can meet and get to know a lot of the locals, and it's not at all unusual to get invited back." Deborah's goal for this picture was to create something more than the scene offered. 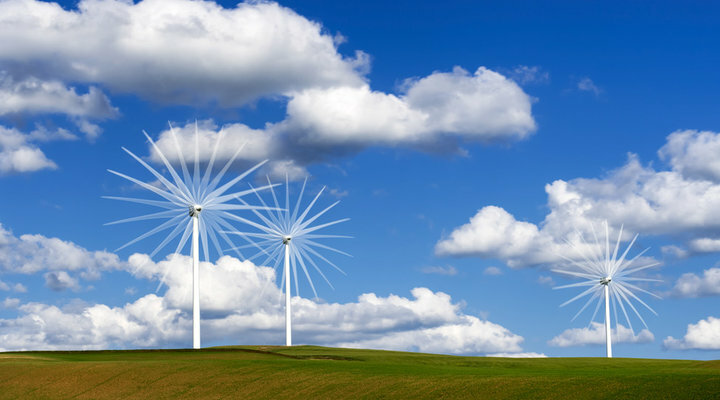 "I wanted to convey the wind turbines in motion so people could get closer to experiencing what was happening. The turbines have three blades—a single shot would freeze their movement and lose the energy of their rhythmic rotation. A long exposure would blur the blades into oblivion; they wouldn't have any definition. So I thought, Okay, let's see what happens when I do a multiple-exposure sequence." Which involved relying on the capability of her D500. "I chose the multiple exposure option in the photo shooting menu and set the number of shots I wanted—ten." Deborah then set the camera for continuous high frame advance, autofocused on the wind turbines, turned the AF off and used a cable release to trigger the camera, which automatically took ten shots at a predetermined, consistent interval, then blended them into one exposure. Why choose a ten-image sequence? "Just an estimate based on my experience with multiple exposures," Deborah says. "It turned out that ten was just right to create a whimsical and flower-like rendition of the wind turbines in action." Which is exactly what she was aiming for. "The point of it is that when I'm out shooting, and in this case shooting essentially a travel image, I think about how I can create my own perspective on what I'm experiencing. I want to share with other people how I see the world, and I hope that my view is a little bit different from how everybody else sees it." Deborah's website, www.deborahsandidge.com, features a selection of images and information about her upcoming workshops. 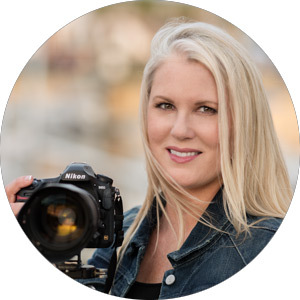 Author, instructor and world-traveling photographer, Deborah Sandidge uses and teaches creative techniques to achieve dramatic and compelling images. Information about photo tours, workshops and events is available at deborahsandidge.com.